This is an acrylic painting on birch panel. 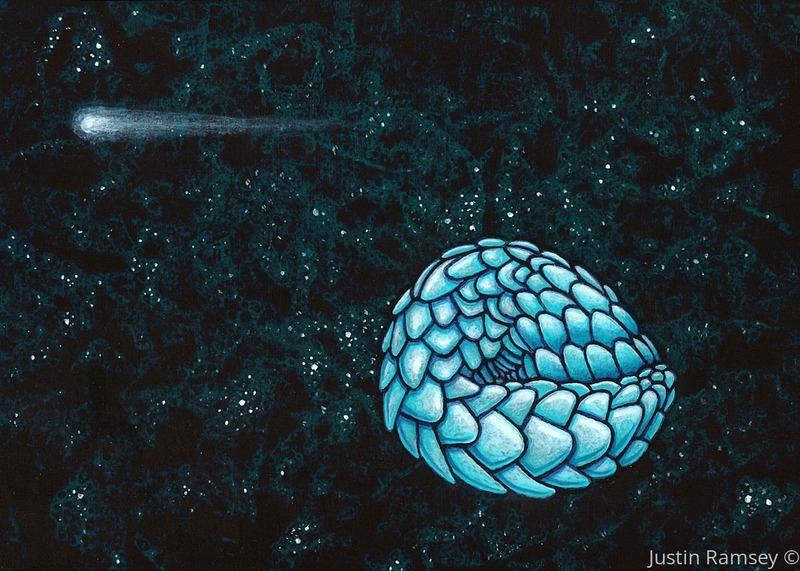 The pangolin has curled inward, set across a universe-scape, which alludes to the existential crises that arise in life from grand perspective to everyday meaning. The life examined is a risky but rewarding endeavor.